Whether you’re brand new to social media or consider yourself a bonafide marketing ninja, setting up a new Twitter profile or Facebook Page can be a laboriously time-consuming process, especially when it comes to working out the sizes of all the images you need to make your channels – or those of your clients – stand out from the crowd. 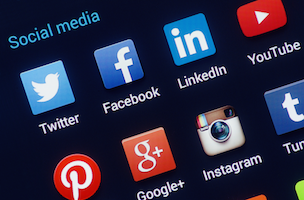 And what about the other social platforms, like Google+, LinkedIn, Pinterest, Instagram or YouTube? Wouldn’t it super convenient if somebody could put all of this information in just one, easy-to-read page? 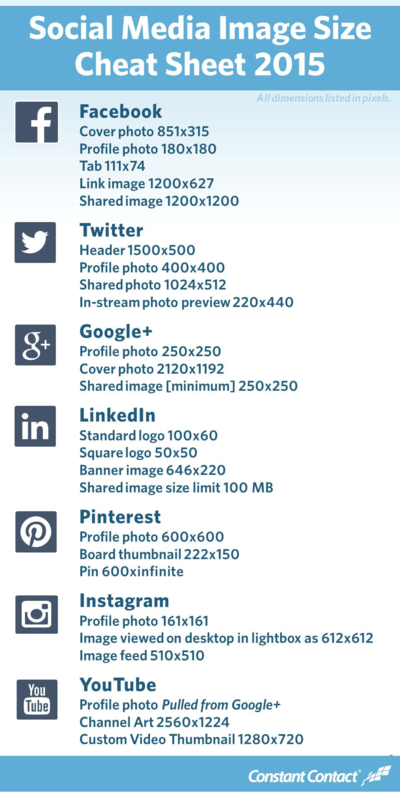 Thankfully, help as it hand, via this quick and simple social media image size cheat sheet, which has been updated for 2015 and comes courtesy of Constant Contact.